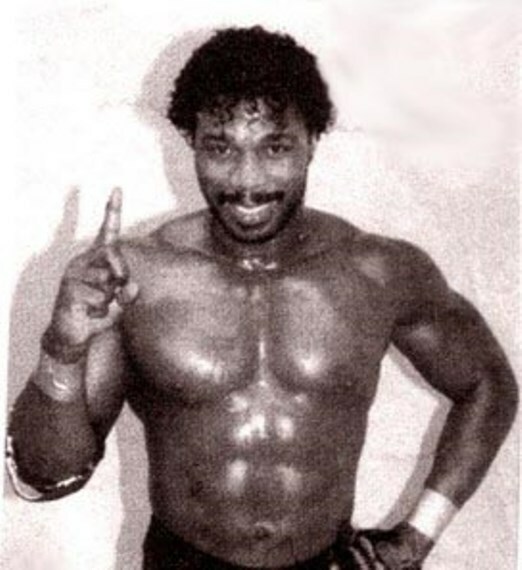 Please note, Brickhouse Brown has NOT died. The coroner was called in, but Brown has not died. But I'm keeping this blog up to share the story of meeting him in 1998. My first exposure to Brown came via the Apter magazines as a kid. 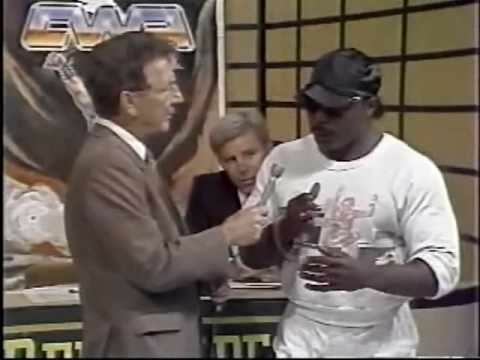 He wrestled primarily in the south and where I lived at the time, those shows weren't aired on TV. I think the first time I saw him on television would have been on World Class Championship Wrestling. Then in early 1998, I was living in Alabama and an independent wrestling show was happening. Up until then, I'd only ever been to WWF or WCW events. I was excited about this event because I was also covering it for the TV station. I still remember walking into the locker room area and being in awe of all the wrestlers I encountered. Keep in mind this was long before iPhones and really even digital cameras so I have no documentation of this experience. Ricky Morton and Kid Kash (he was wrestling as Morton's son in the New Rock 'n Roll Express), Bunkhouse Buck, Bullet Bob Armstrong and Brickhouse were among the stars I met that night. I remember Brickhouse coming up to me and by the look on his face, he wasn't as happy to meet me as I was him. He quickly asked what my plans were for the story and said he had concerns about me being there with my camera. I explained to him I was a lifelong pro wrestling fan and I was there to cover the event and showcase the talent. I also told him had all the respect in the world for him and the other wrestlers on the card. His icy exterior quickly melted and we chatted for several minutes about my fandom and growing up in St. Louis. While I wasn't quite ready for the reaction I initially got, I completely understood where Brickhouse was coming from. Yes, the Monday Night War was bringing pro wrestling to the forefront at that time, but for years mainstream media treated the business like a joke. Brickhouse was simply protecting something he loved. My respect for him increased that night, especially after our conversation.